Buying clothes that fit instead of the clothes you want to fit into? Wasting money on gym memberships you don’t use? Feeling exhausted and irritable throughout the day? Complicated diets that are unrealistic? Waiting for your busy schedule to give YOU time to get fit? 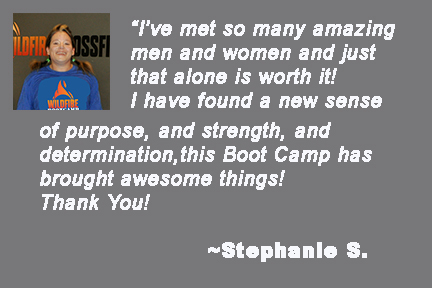 We created WildFire Boot Camp Phoenix to give you that SPARK that will Ignite YOUR Life! Just check out the smiling faces and cheers in Troop 16's Graduation Video. 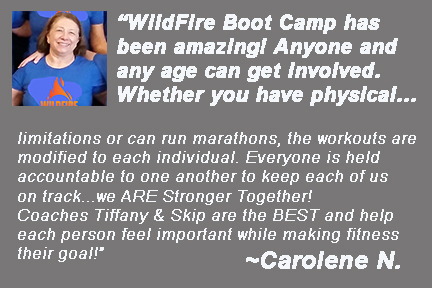 Call NOW to learn more: 480-626-0905 or CLICK HERE to "request more info"
WildFire Boot Camp Officially Begins Saturday, January 6th at 8am. 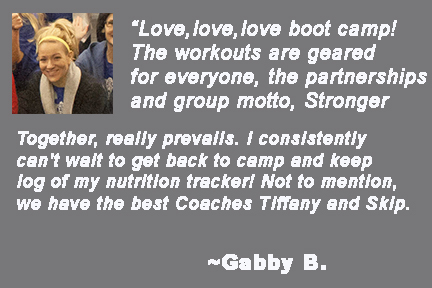 This 6-week Camp will jump start your fitness journey so you can take 2018 by storm! who had the most FUN getting RESULTS...and are still going strong today! required information and we will get you set up and ready to be awesome!